^ Getty profile, including variant spellings of the artist's name. ^ Quoted in Gilles Lambert, "Caravaggio", p.8. 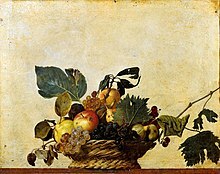 ^ Biography of Caravaggio Archived 2009年4月16日, at the Wayback Machine. 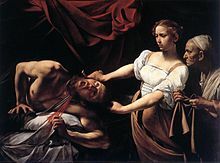 ^ Rosa Giorgi, "Caravaggio: Master of light and dark – his life in paintings", p.12. ^ Catherine Puglisi, "Caravaggio", p.79. 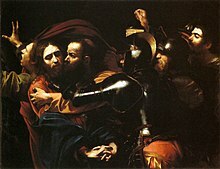 Longhi was with Caravaggio on the night of the fatal brawl with Tomassoni; Robb, "M", p.341, believes that Minniti was as well. ^ この乱闘騒ぎに関する証拠がマルタ大学のカイト・シベラス教授によって発見された。 "Frater Michael Angelus in tumultu: the cause of Caravaggio's imprisonment in Malta", The Burlington Magazine, CXLV, April 2002, pp.229–232, and "Riflessioni su Malta al tempo del Caravaggio", Paragone Arte, Anno LII N.629, July 2002, pp.3–20. 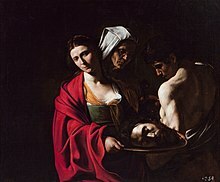 Sciberras' findings are summarised online at Caravaggio.com Archived 2006年3月10日, at the Wayback Machine..
^ Baglione says that Caravaggio in Naples had "given up all hope of revenge" against his unnamed enemy. 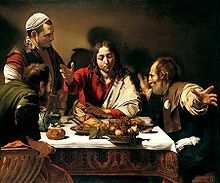 ^ The mystery of Caravaggio's death solved at last – painting killed him, Tom Kington, The Guardian, Wednesday, 16 June 2010. Harris, Ann Sutherland. Seventeenth-century Art & Architecture, Laurence King Publishing (2004), ISBN 1856694151.